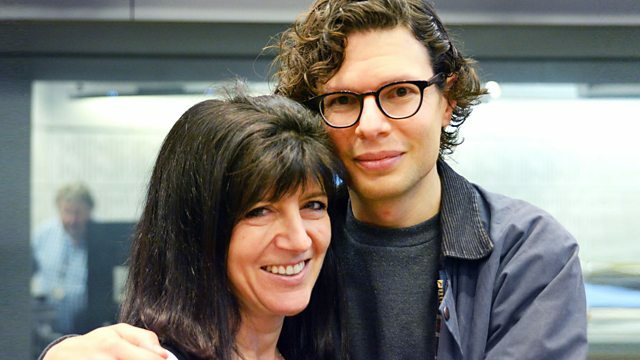 Clive Anderson and Emma Freud are joined by Vince Cable, John Thomson, Simon Amstell and Sudha Bhuchar for an eclectic mix of conversation, music and comedy. With music from Jolie Holland & Samantha Parton and Josh Ritter. 'Open Arms' is published by Corvus and available now. 'Child of the Divide' runs from 29th September to 15th October at London’s Polka Theatre. 'Help' is published by Square Peg and available now. 'Cold Feet' is on Friday 6th October at 21.00 on ITV. 'Wildflower Blues' is available now on Cinquefoil Records. Jolie and Samantha are playing at Norwich Arts Centre on Sunday 1st, The Lantern, Bristol on Monday 2nd and Brudenell Social Club, Leeds on Tuesday 3rd October. Check their website for further dates. 'Gathering' is available now on Pytheas Recordings. Josh is playing at Shepherd's Bush Empire, London on Tuesday 5th and Mandela Hall, Belfast on Wednesday 6th December.